Lighten the mood and tickle your tummies with soft crisp bread and creamed butter, as they fire up the grills for your orders. This mini loaf bread not just satisfies you, it seeks to enhance your taste buds for a satisfying meal ahead. 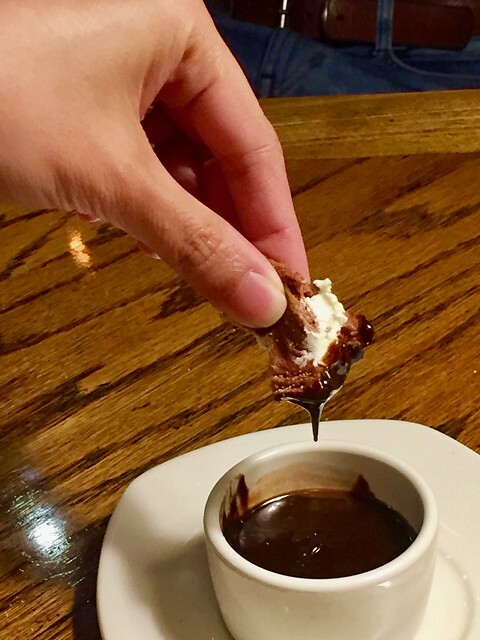 Wait, let me share a secret to you that has been passed on to me... dip your bread in a cup of choco fudge, (you can ask the servers about this) taste it.. and you'd feel like you're a kid once more, brings back those good vibes, and leaves you craving for more, now on to our line-up of great Aussie Eats. 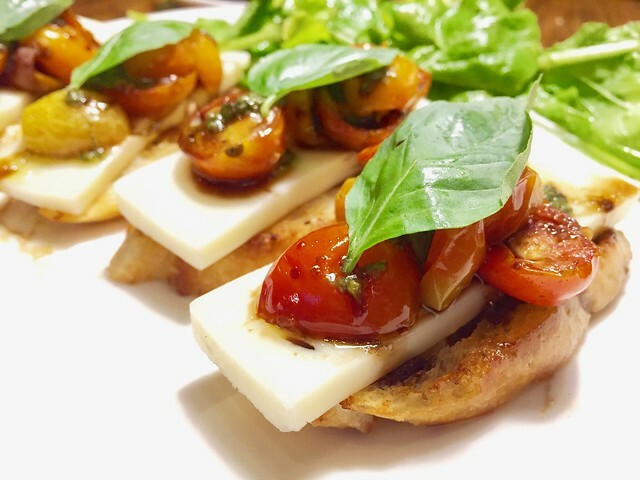 This appetizer is just perfect, what you thought was so simple was something out of this world, the flavor, the texture, the creaminess of the Mozzarella cheese, combined with fresh crisp cherry tomatoes, with a hint of basil pesto is just sublime, I can finish a whole order myself, but better hold back, remember this is just our appetizer for the night. Behold the Chili Marinated Ribeye...all steaks at Outback Steakhouse are dry-aged for a minimum of 21 days. The uncarved beef is delivered to the restaurant in loins, and the kitchen team then expertly divides and trims them to the desired cuts and portions. 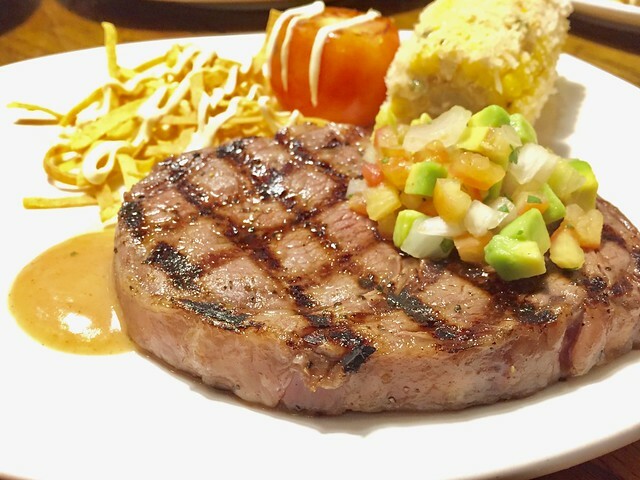 Seasoned and chargrilled to perfection the Chile Marinated Ribeye is a must-try for any meat lover,. Served with traditional Mexican corn on the cob, crispy tortilla strips, grilled tomato, chile sauce and a drizzle of sour cream. 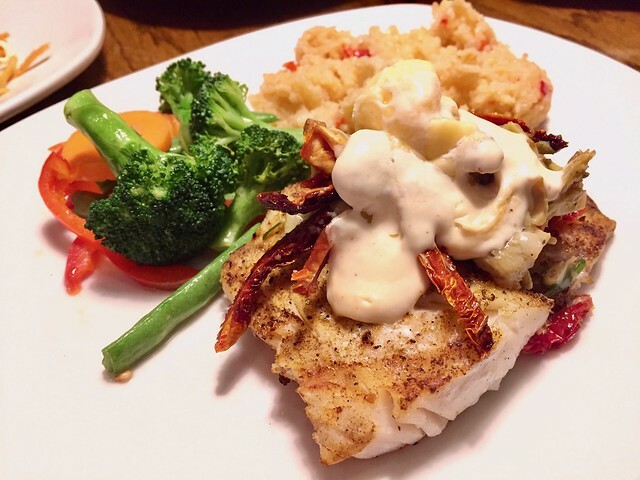 Seafood lovers need not to fret because the Heats of Gold Cod is a sure treat with its perfectly cooked fresh grilled flaky white fish topped with artichoke hearts, sun-dried tomatoes, green onions and a light lemon sauce. Served with seasoned vegetables. 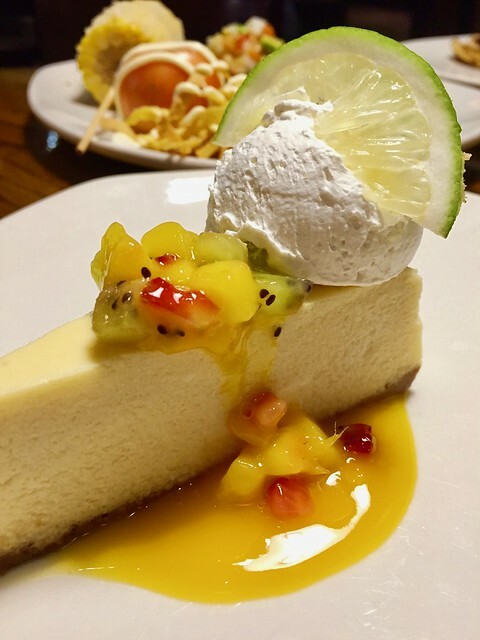 Classic New York-style cheesecake topped with tropical seasonal fruit, whipped cream and lime zest. Served in a pool of mango coulis, light and easy, you'd never feel guilty with every slice. 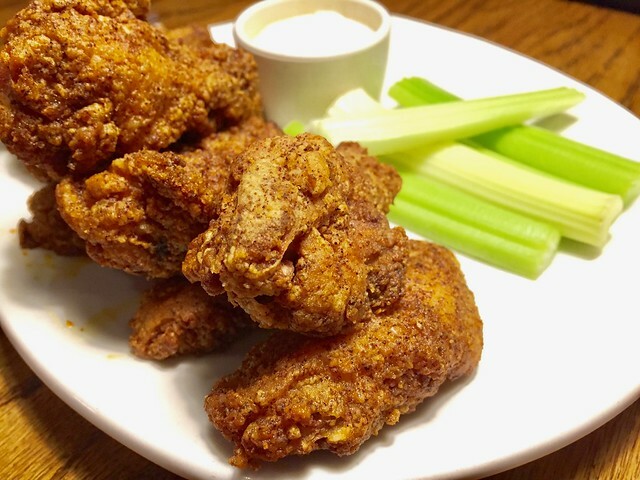 But apart from these new dishes, let's not forget our favorites that make dining at Outback Steakhouse so much more enthralling... meet our good friend Typhoon Bloom, Kookaburra Wings and the Crispy Parmesan Shrimp Salad, which are staple in every Outback Steakhouse visit. 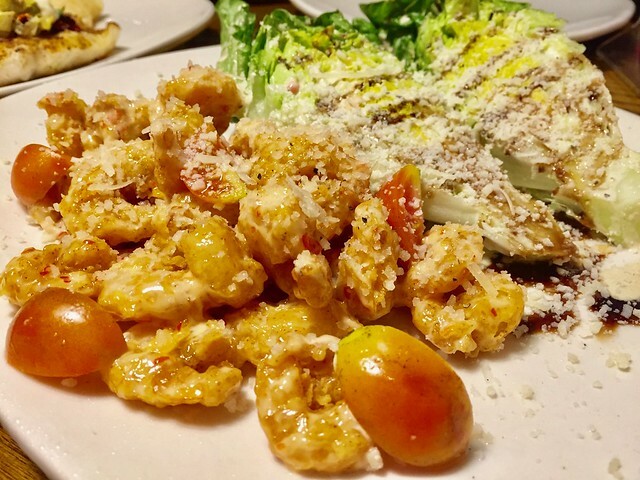 Be sure to check out the new dishes of Outback Steakhouse in The Great Aussie Eats and bring the flavors of the Land Down Under to your taste buds. 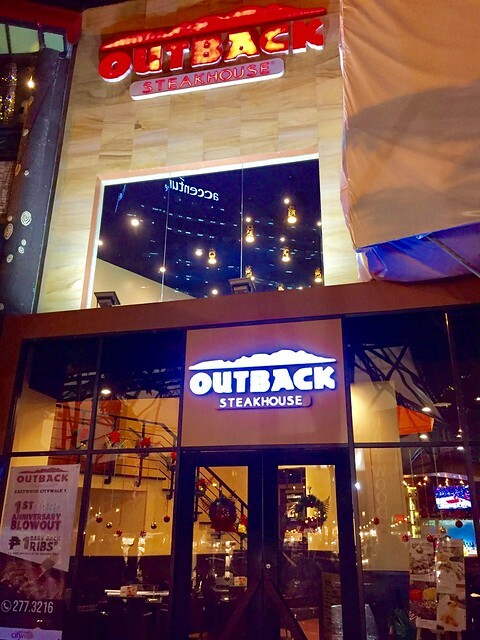 Visit Outback Steakhouse at ATC Corporate Center in Alabang, Glorietta 4 in Makati, Blue Bay Walk in Pasay and newly opened Eastwood City Walk 1 in Quezon City. 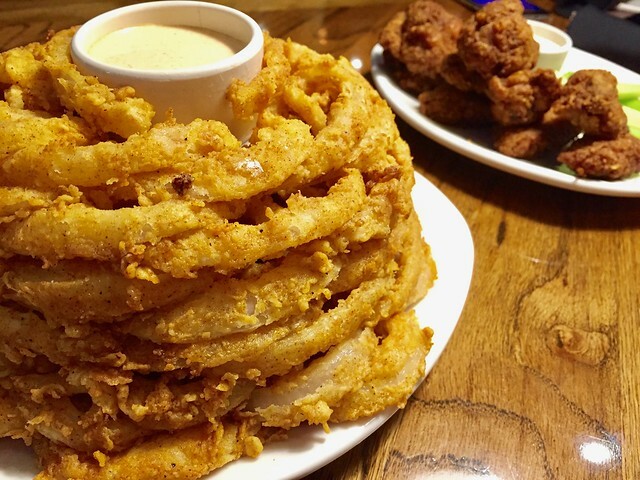 To be updated on their promos and special offers, Follow Outback Steakhouse on Facebook. 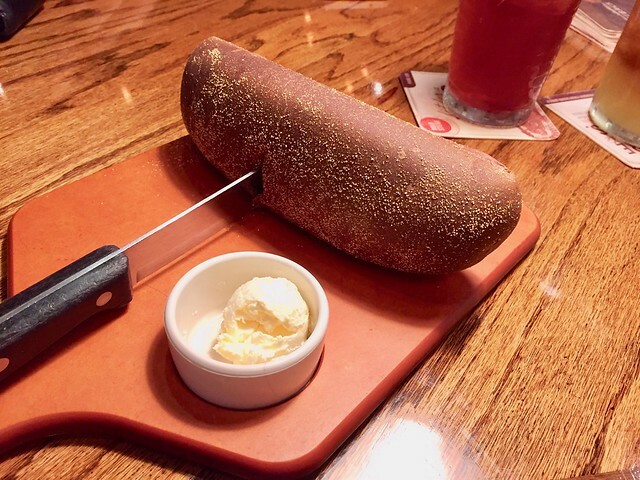 Outback Steakhouse is an American casual dining concept with more than 1,000 locations spanning 22 countries. 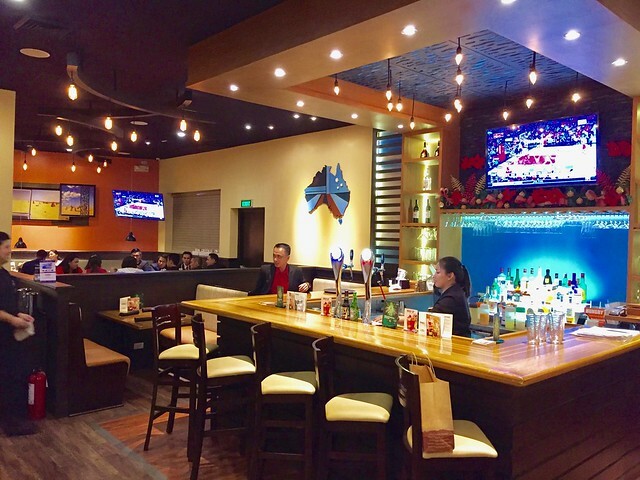 Established in Tampa, Florida in 1988, each restaurant is a friendly, casual and relaxing place embodying the spirit of the Australian Outback with flavourful food, excellent service and attentive staff. Outback Steakhouse in the States was voted #1 Best Steak in the influential Zagat Survey® of National Restaurant Chains, bagging the prize for four year in a row from 2009 - 2012.